Bullseye! Draw your bow, take aim and shoot arrows with your fingers just like you would use a real bow. Playing Master Archer is very immersive archery experience! Features: - Unique archer gameplay that feels natural - Awesome 3d graphics - Online leaderboards - Easy to play - hard to master - Multiple booster - Moving targets - And more! What are you waiting for? Prove your ability to shoot arrows fast and accurately in this skill based archery game and become the best archer in the world! 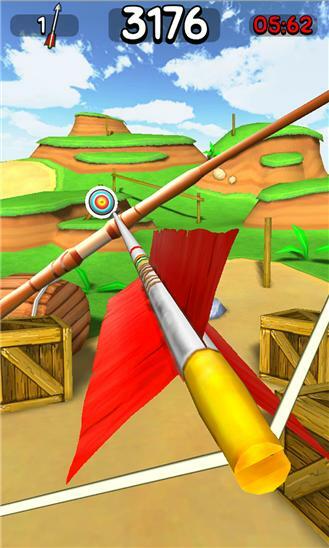 If you are a fan of archery or would like to try a real bow this is a game for you! The game will have regular updates that will add more features and content. you can send us suggestions and feedback to our email support@immobilegames.com New game mode! 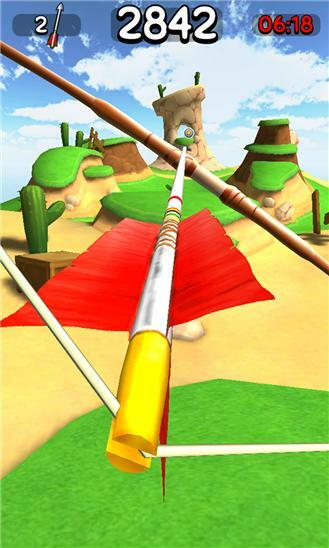 In arrow attack you get a new arrow each time you hit a bullseye! Improved Graphics and new desert level! New targets as well! Time attack coming soon! In Time Attack you have a Limited time of 60 seconds to shoot as fast as possible and score a high score.